Tony McEvoy will send Sunlight to The Valley this week to exorcise any lingering mental demons as the star filly shapes to add Friday night's Group 1 William Reid Stakes to a bulging portfolio. 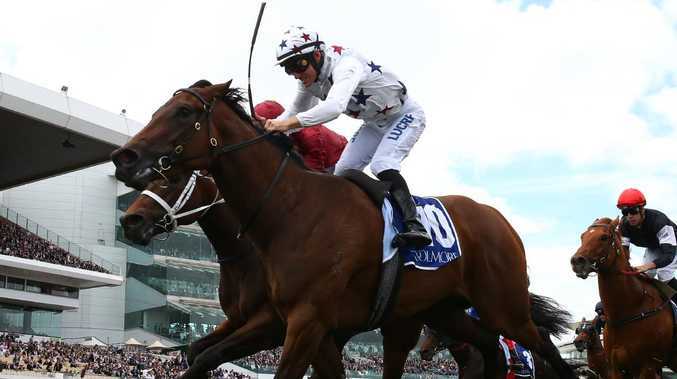 "I'm going to take her to Moonee Valley on Monday morning just to give her a nicer experience than she had the last time she went there," McEvoy said. "If you remember in the Manikato she got knocked from pillar to post, she will have bad memories of the place. "I just want her to cruise around and enjoy the morning and and then she is on track for Friday night. "I galloped her twice there before the Manikato. I think she will be absolutely fine at the track. "It just it got taken out of her hands in the Manikato." "She's great, she's in fantastic order," he said. "I'm in awe of her. "I think she is one of the greats. That's no emotion in that. "I just think for a three-year-old filly to go out there and run 10.47 (secs), 10.5, 10.57, 10.82 and doing it all from the front. "How many horses can do that? She's a superstar."